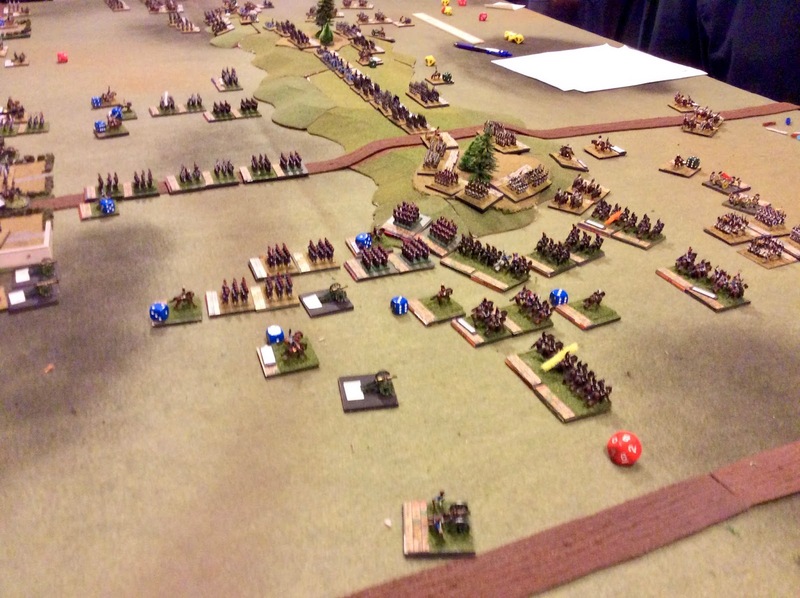 Another Fun War Horse Con Gaming Day | H.A.W.K.S. Chris Palmer This past Saturday a group of the HAWKs and I went up to Sam Fuson’s War Horse farm in PA for another fun day of games and good food. 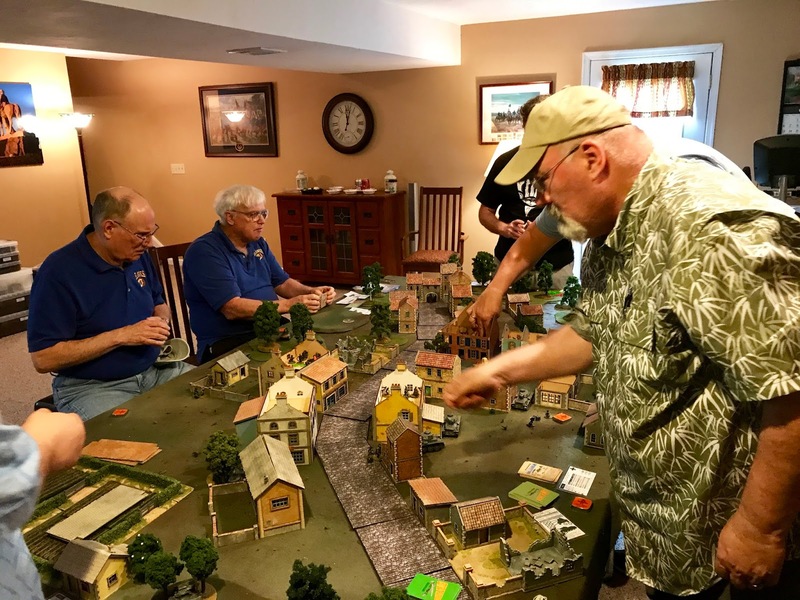 A couple times a year, Sam and his wife Kathy invite a the HAWKs and a bunch of their friends over for a fun day of gaming known as War-Horse-Con. We took the timing of this year’s event as an opportunity to playtest a quartet of games the HAWKs are planning on running at Historicon in July. 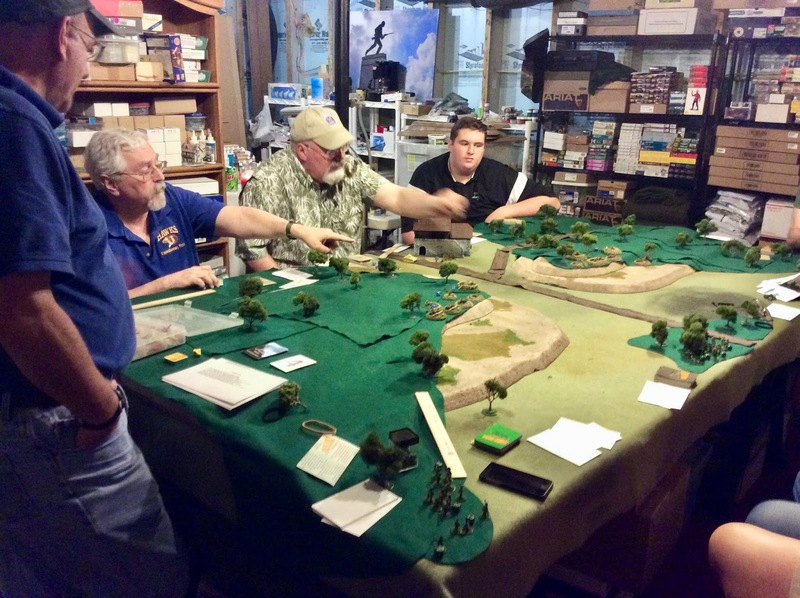 In the morning Buck Surdu ran a 28mm early war WWII game using his innovative Combat Patrol rules. 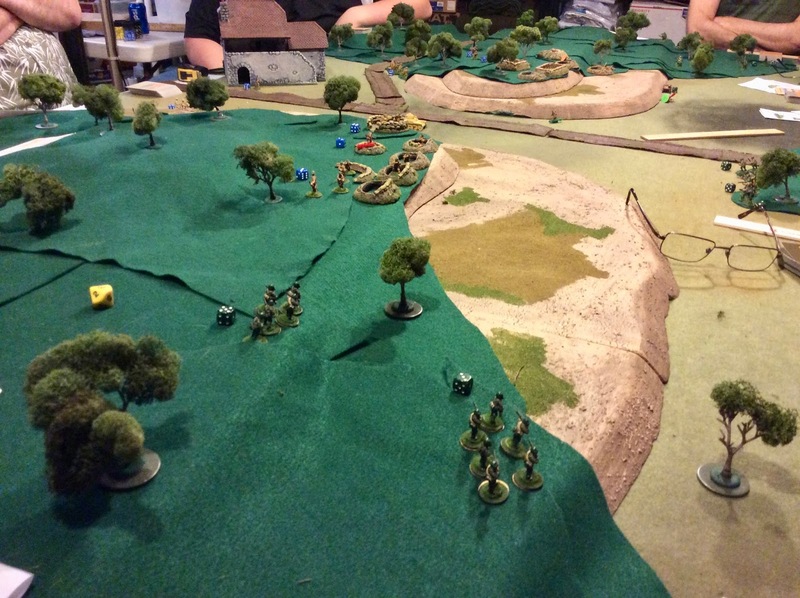 The scenario featured a German force trying to clear a village of it’s French defenders. I was lucky to play in this game and had a blast commanding a Czech 38t tank, a squad of infantry, and a machine gun team. In the end we had the French on the ropes, but they were still holding on aided by a sharpshooting 75mm gun. 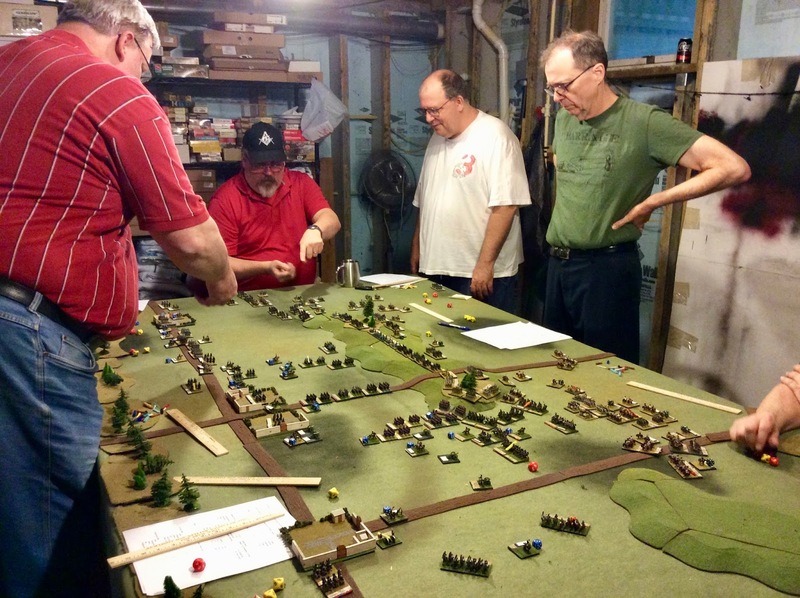 While we were busy fighting our WWII battle, on the other side of the basement, Kurt Schlegel was running a 10mm Napoleonic game using his fast play Home Rules. After a lunch break for some fabulous local fried chicken, beans, and potato salad; we reconvened for our afternoon session. 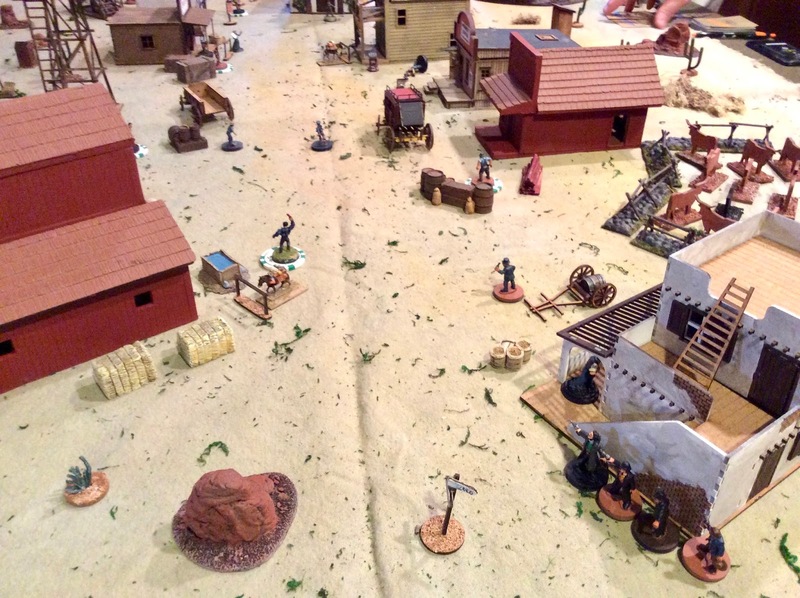 This time I played in Zeb Cook’s Wild West game using modified Combat Patrol rules. This was fun every-man-for-himself game, with us all taking the role of bounty hunters bringing various villains to justice. A fun additional aspect was that we all had prices on our heads as well, so were legitimate targets for the other players as well. And the price on our heads went up if we committed any crimes while playing such as killing citizens or looting stores. I had a blast even though my team was eventually shot full of holes, especially my gang leader who picked a fight with a desperado in the local cantina, unawares that he had two buddies hidden in the back rooms! 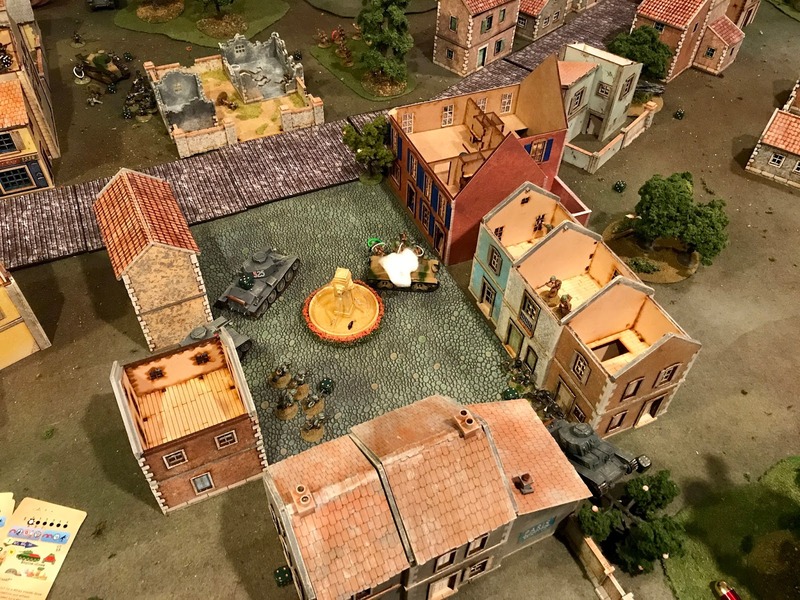 And, while we were fast drawing in our game, on the other side of the basement, Eric Schlegel was running another early war WWII Combat Patrol game featuring Italians vs French in the south of France. It was a great day, and we always appreciate the effort Sam and Kathy put in to making these events a success. We’re all already looking forward to the next time! 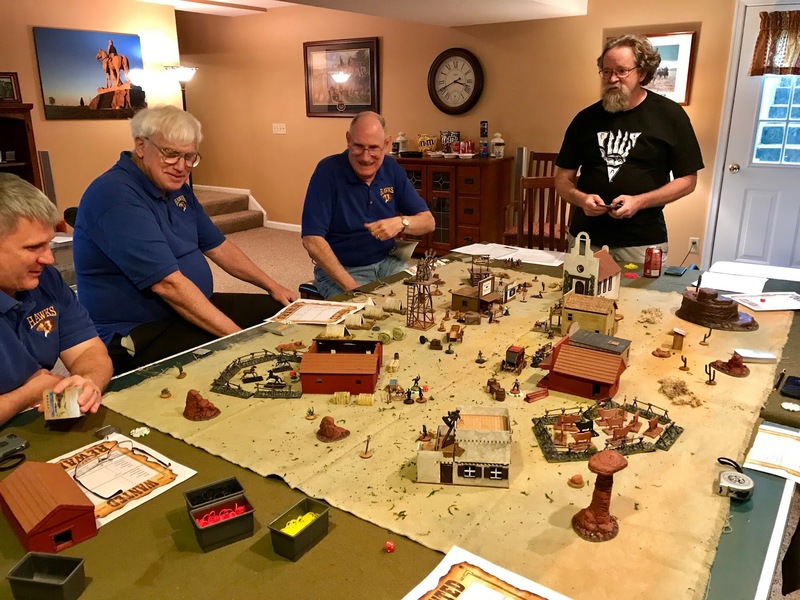 My band of cowboys had an initially good run of activations and shooting, but by the end of the game all of my folks were taking that one-way trip to Boot Hill. Thanks to Sammy and Kathy for hosting! It was great fun.